In December 2014, the Center for Corporate Citizenship (CCC) published a research report titled “The State of Corporate Citizenship 2014” that clearly links corporate citizenship to business success and higher shareholder returns. A majority of the corporate executives interviewed for the report confirmed that corporate citizenship, when thoughtfully integrated into business strategy, increased market share, improved financial performance and boosted shareholder value. In addition, most executives said they planned to increase investments in corporate philanthropy and workplace giving programs over the next three years. 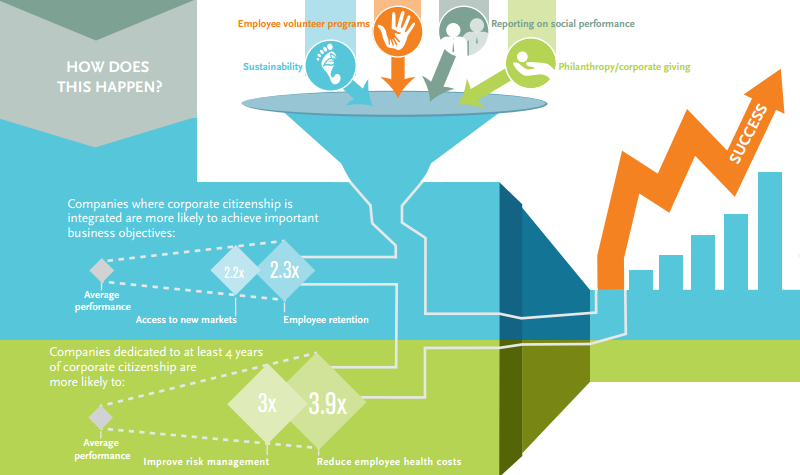 The report defines corporate citizenship as a firm’s performance in the environmental, social and governance dimensions of business through sustainability, employee volunteering, corporate philanthropy and employee giving. Companies with integrated corporate citizenship programs saw a 2.2x increase in terms of access to new markets and a 2.3x jump in employee retention. And companies with at least 4 years of corporate citizenship saw a 3x improvement in risk management and a 3.9x reduction in employee health costs. The report found that corporate citizenship translated into higher employee engagement, higher productivity and improved access to new markets, all of which translated into fewer sick days, lower corporate expenses, higher profits and overall business success. 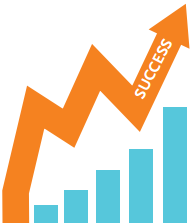 CCC’s report also confirms other studies that link business success to corporate giving programs. With the Season of Giving upon us, we are hopeful that this report will prompt executives to incorporate workplace giving into their strategic business plans for 2015 and boost investment in corporate philanthropy to improve their own company’s fortunes while also giving back to society. For additional insights on workplace giving initiatives and their positive impact on employees and corporate success, download free white papers. This entry was posted in corporate philanthropy, Corporate Philanthropy Outsourcing, Employee Engagement, Employer Giving Programs, Volunteering and tagged charities at work, corporate giving, corporate philanthropy, corporate volunteerism, employee engagement, employee volunteering, employer matching programs, matching programs, workplace giving by Hesha Patel. Bookmark the permalink.